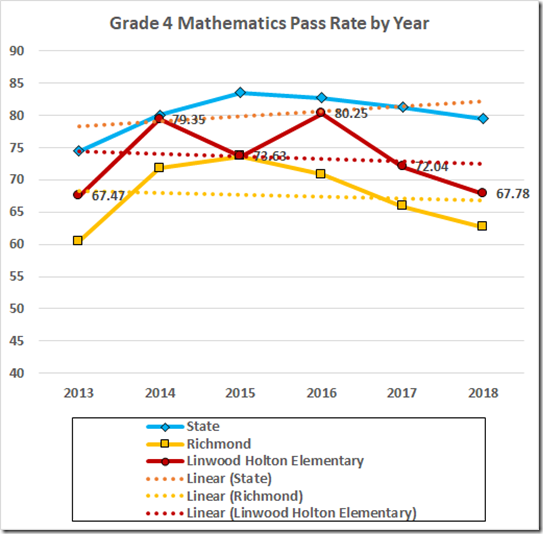 Overall, Holton dropped a point on both the reading and math SOLs this year. 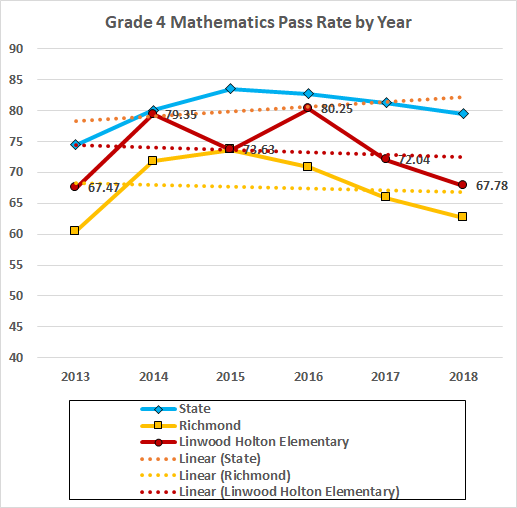 The data by subject and grade paint a more nuanced picture. 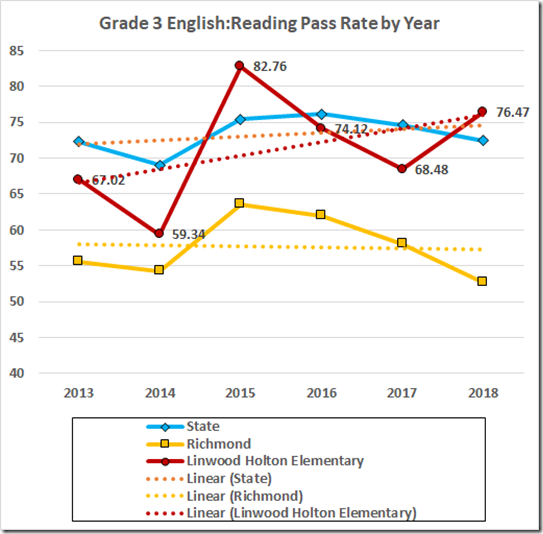 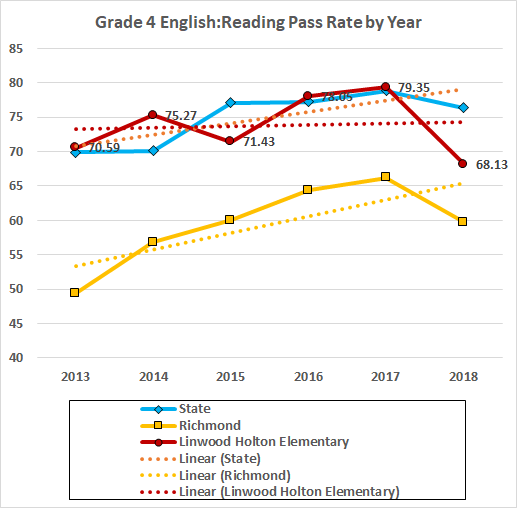 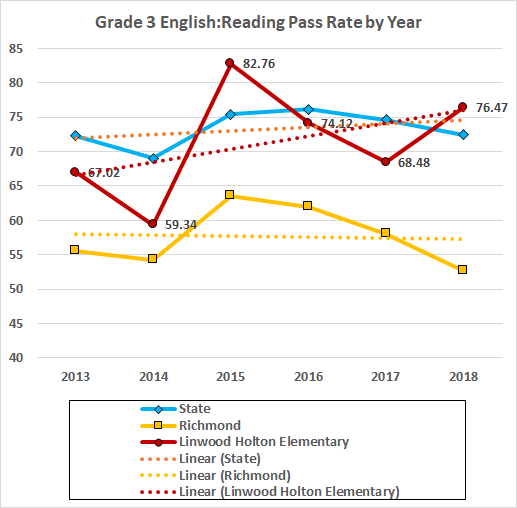 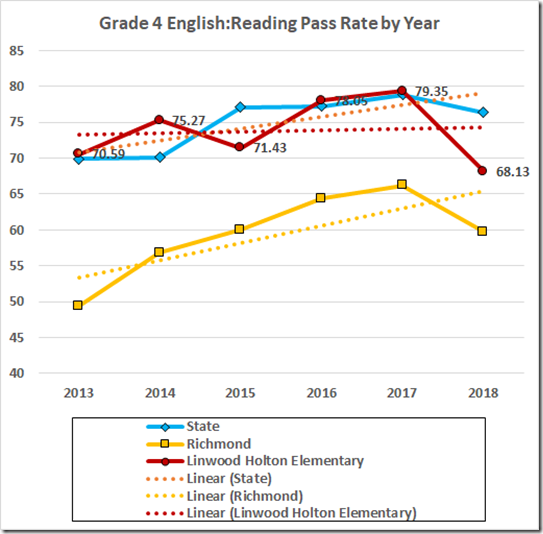 The reading data suggest a problem in the fourth grade but otherwise look pretty good. 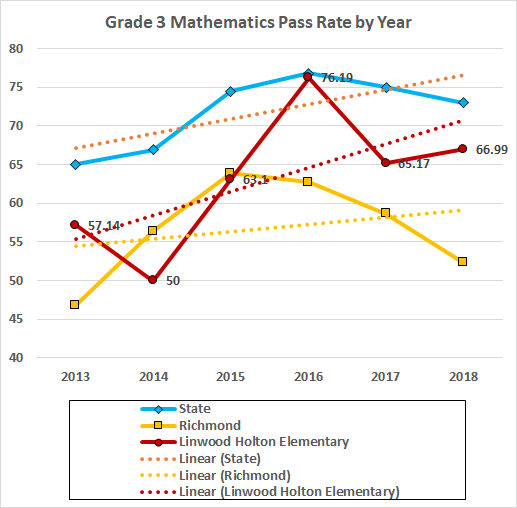 For what it may be worth, I’ve asked Excel to fit a straight line to each dataset to suggest the trend in the pass rates. 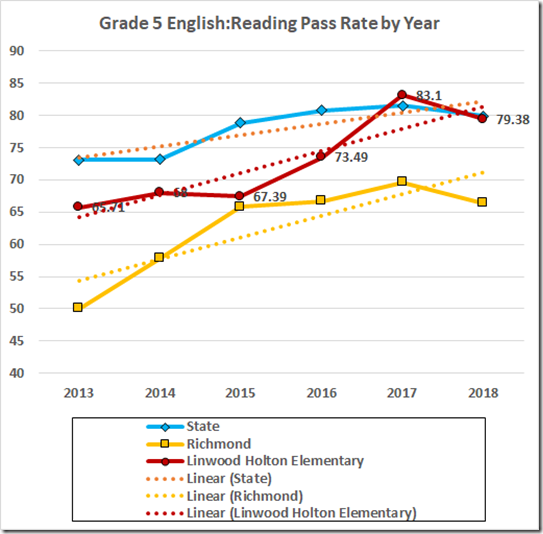 In that sense, Holton is showing progress in reading, notwithstanding the 4th grade blip this year. 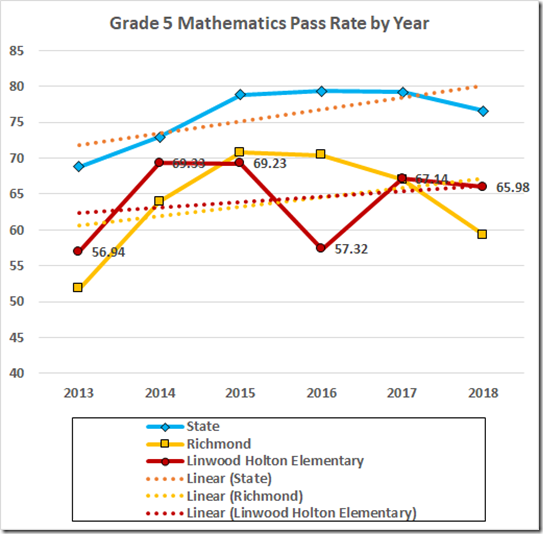 The math data also suggest an issue in the 4th grade. 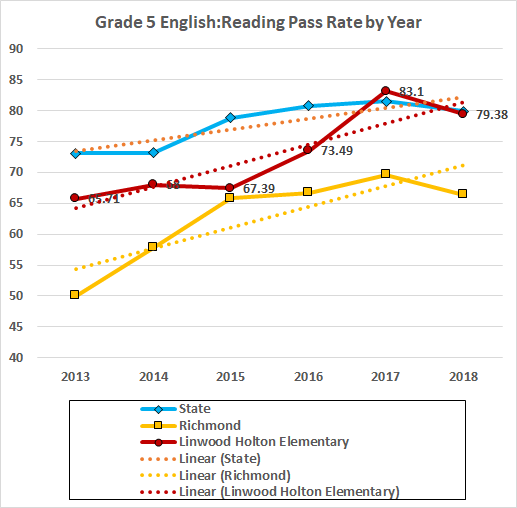 The Good News is that Holton is flirting with the state average in reading. 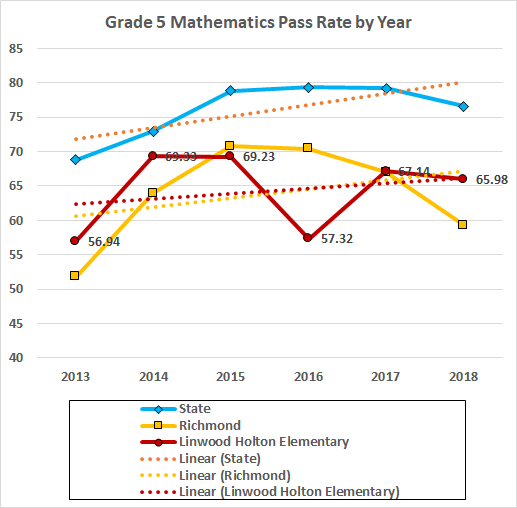 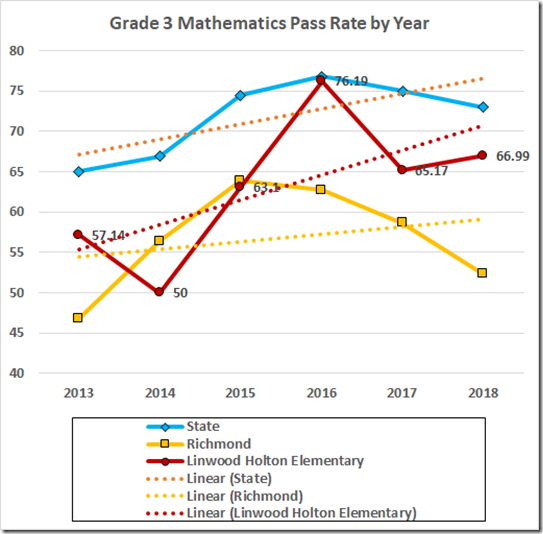 The not so good, that the school is handily beating the Richmond average in math, albeit at a rate still below the 70% accreditation benchmark.